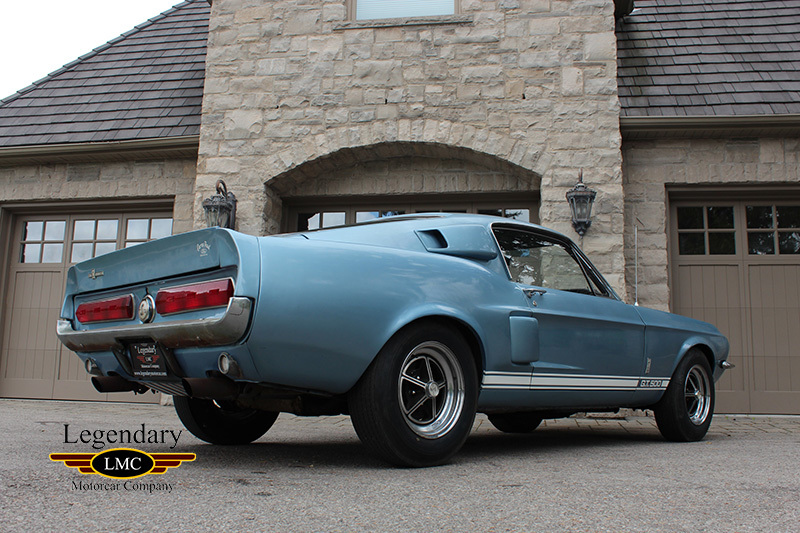 Click any thumbnail below to display the 1967 Ford Mustang Shelby GT500 slide show. 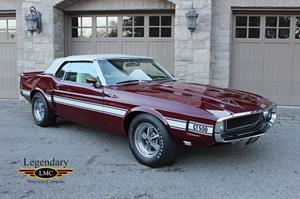 LMC is very proud to offer for sale this all original 1967 Shelby GT 500. 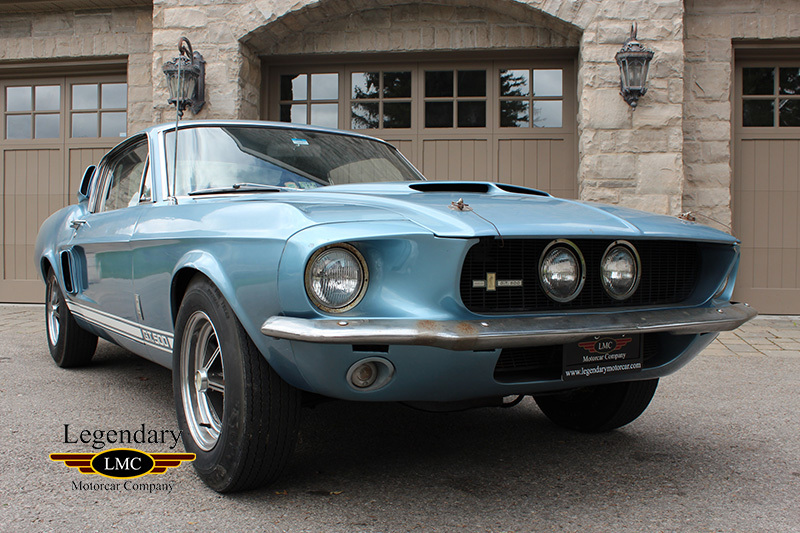 The next generation Shelby Mustang was the GT500, and it incorporated Ford’s new big block power. 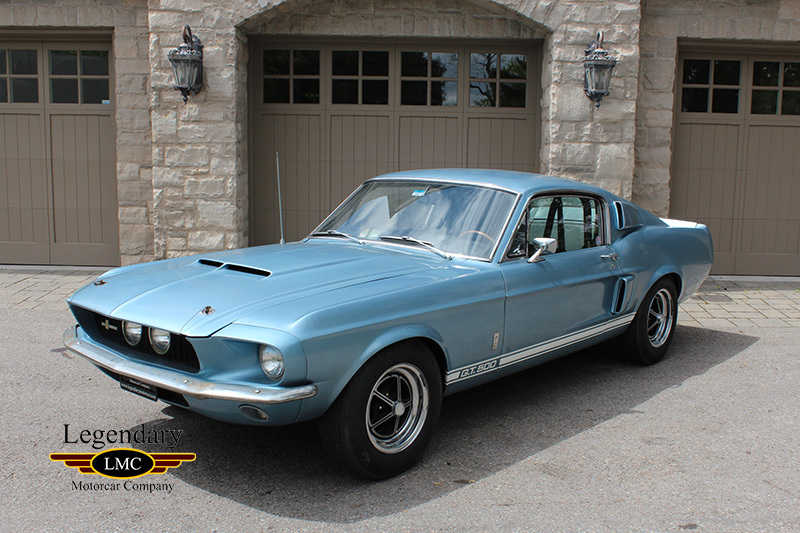 Upscale, professional and well off, the buyers Shelby and Ford targeted wanted performance at their disposal but also demanded their performance cars be comfortable and reliable daily drivers. 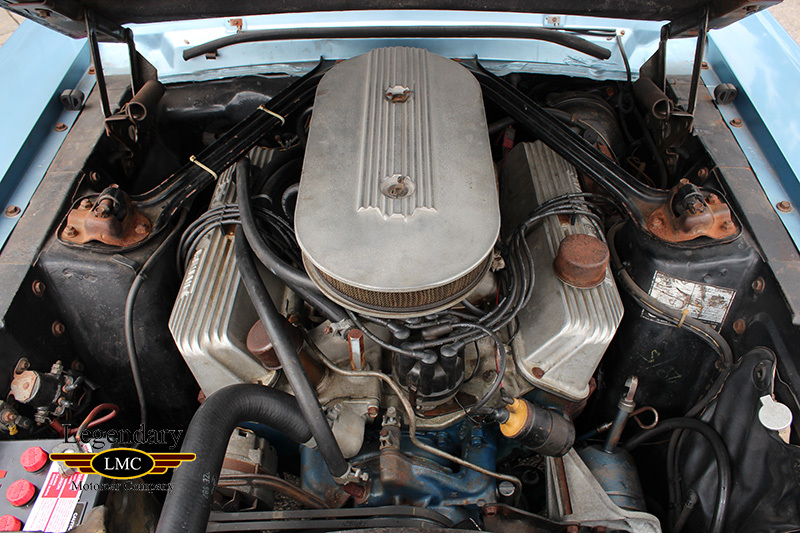 The heart and soul of the car starts with the big block 428 cubic inch V8 Police Interceptor. 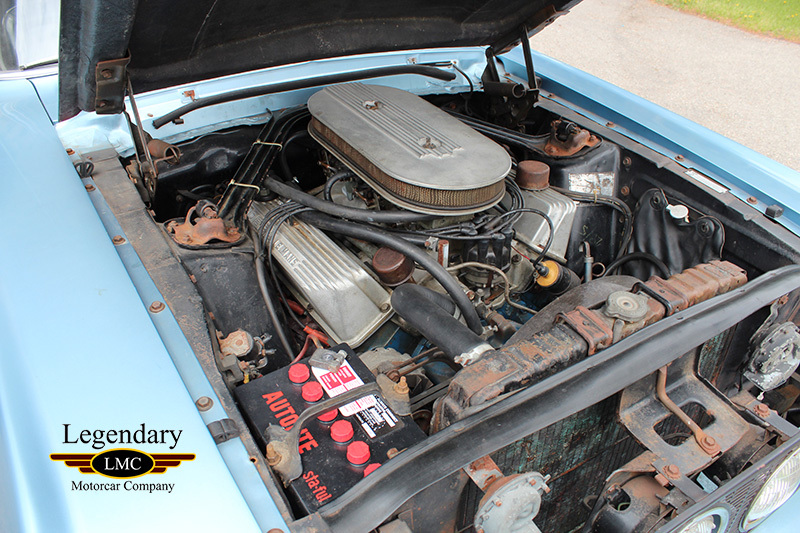 This motor featured a 10:1 compression, high lift cam and a pair of 600 cfm Holley four-barrels with progressive linkage and vacuum secondary’s on an aluminum medium rise intake manifold. It was rated at a conservative 355 horsepower but Shelby enthusiasts claim it actually pumped out some 50hp more while generating 420 lb-ft of tire scorching torque. 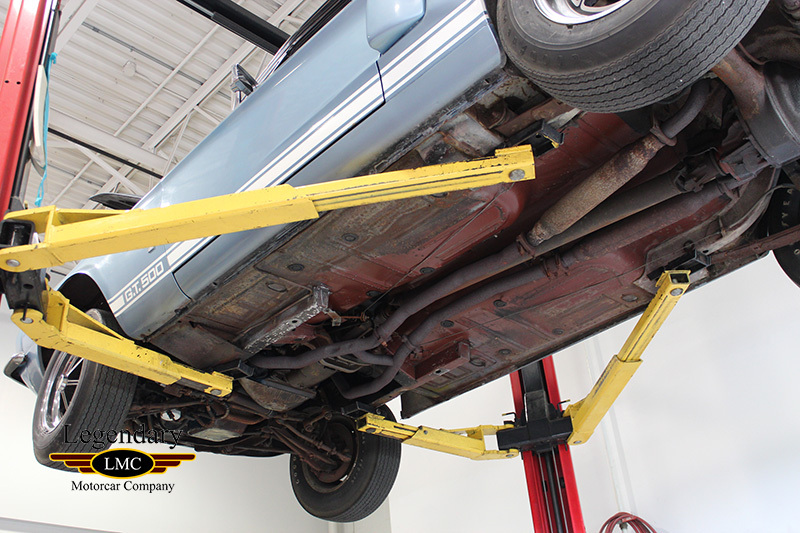 For 1967 Shelby Mustangs got progressive rate springs that were comfortable on the freeway but stiffened as they were compressed to give good handling. 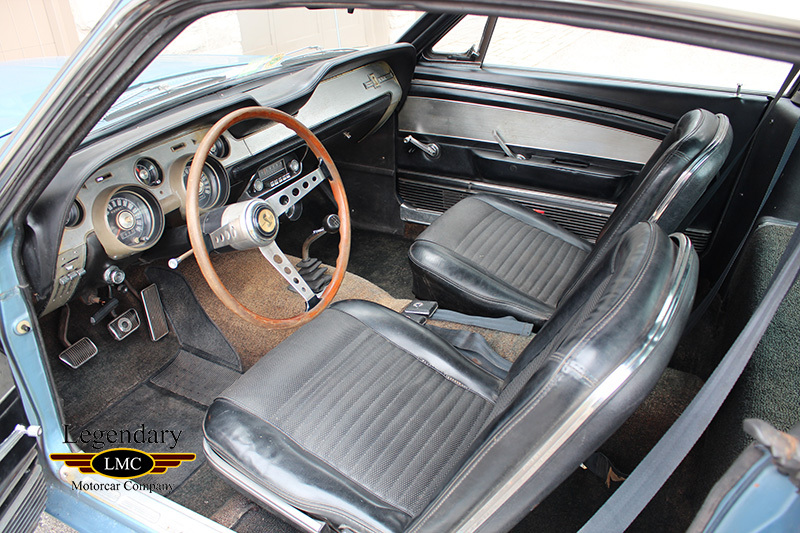 The 1967 Shelby Mustangs came with the full complement of scoops as well as unique fiberglass hood, nose and rear deck. 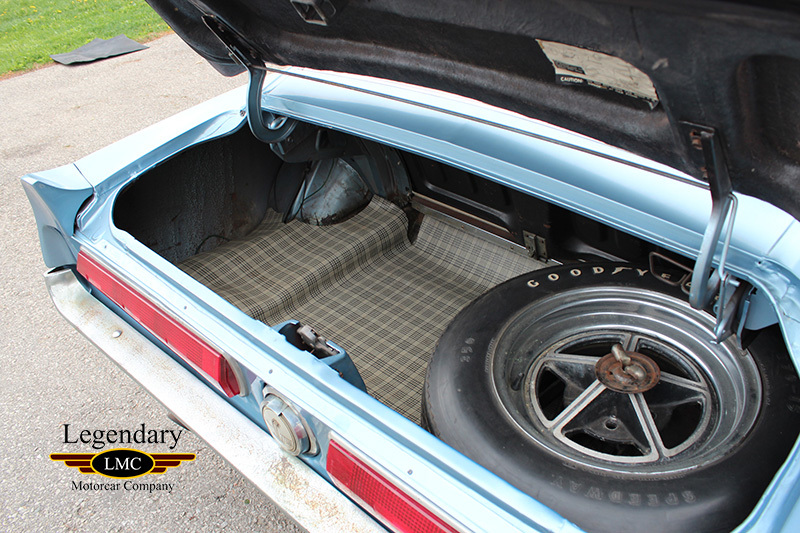 15x7 wheels were standard with the Goodyear Speedway tires. 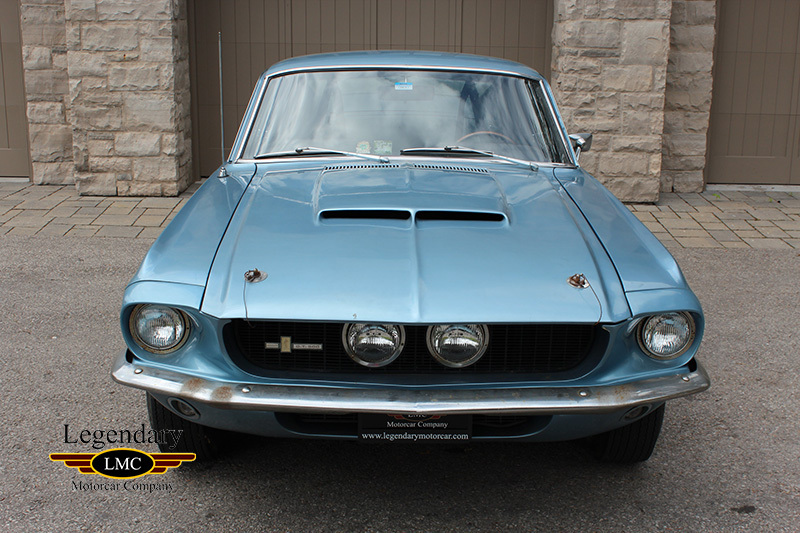 This Mustang on steroids filled the bill perfectly and outsold the 1967 GT350 by nearly two to one. 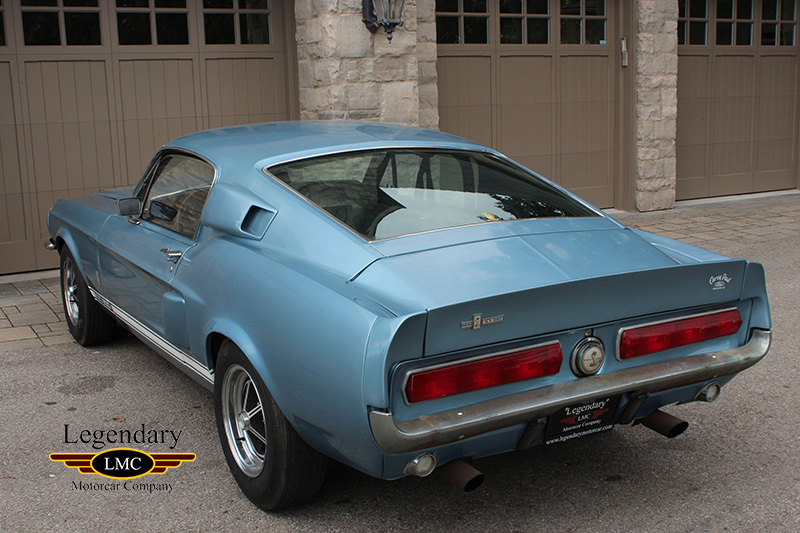 Over the course of the year 2,048 were built, all in the fastback body style. 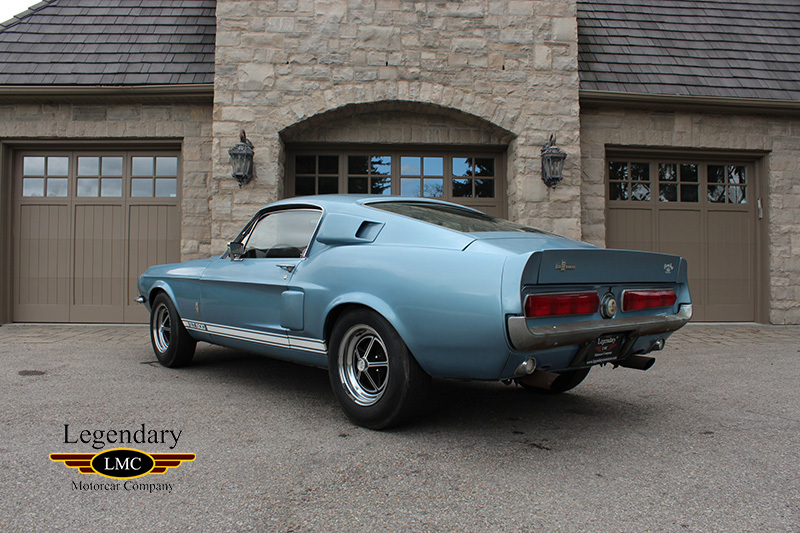 In 1967 there really was nothing that could surpass the Shelby GT500, it overpowered the competition on the track, back streets and straightaways, and was just plain bad-to-the-bone giving free attitude adjustments to anyone and everything that stood in its way. Originally delivered to Carey Paul Ford in Decatur, Georgia this was a no-frills performance machine. 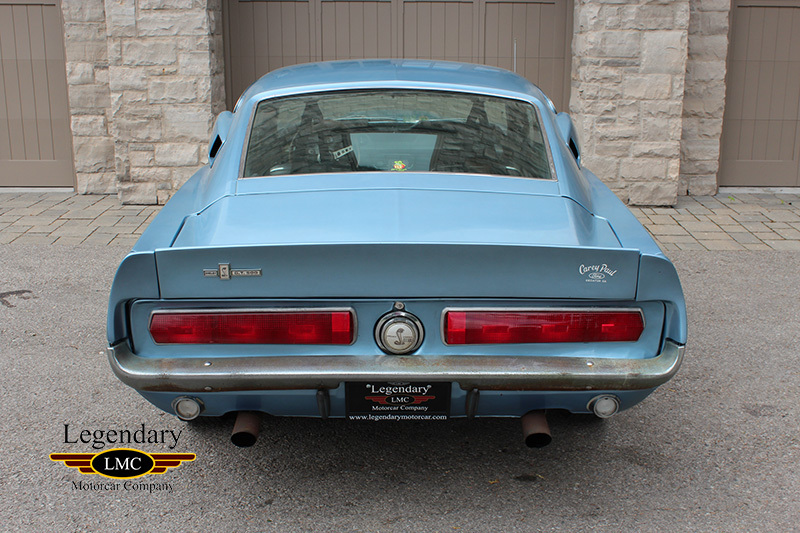 The Carey Paul dealer sticker is still affixed to the right rear Spoiler. Pull the hood pins and underneath is a very original engine bay with all parts you can be confident are correct with this original Shelby. 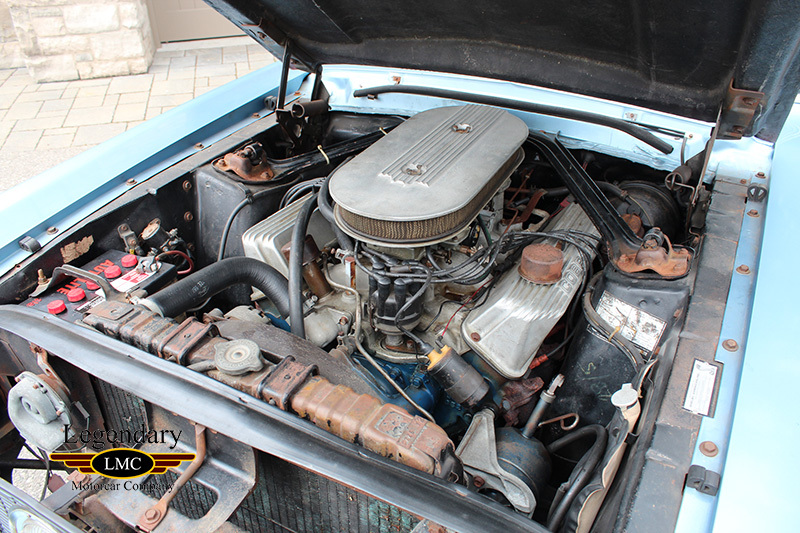 Tucked between the shock towers is its orginal famous 428 PI power plant that defined this model year of Shelby Mustangs. 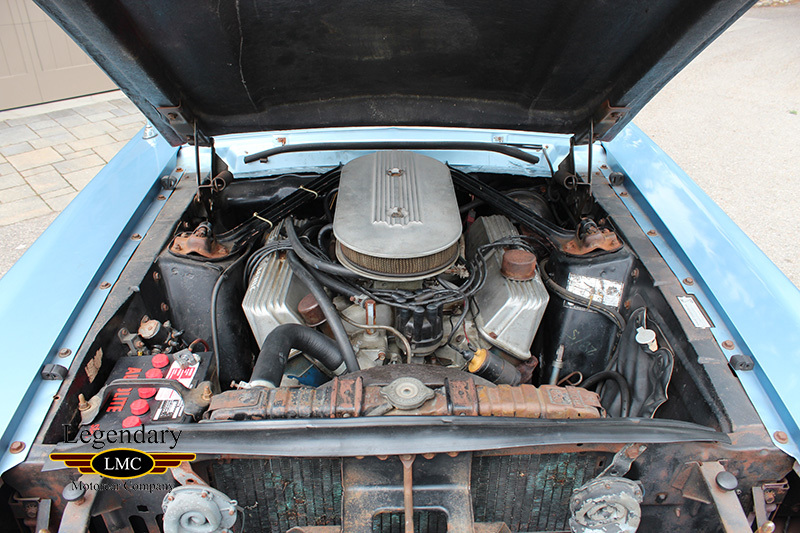 This year was also the only Shelby with the 2x4bbl carb on the engine displaying the Cobra Le Mans ribbed valve covers. 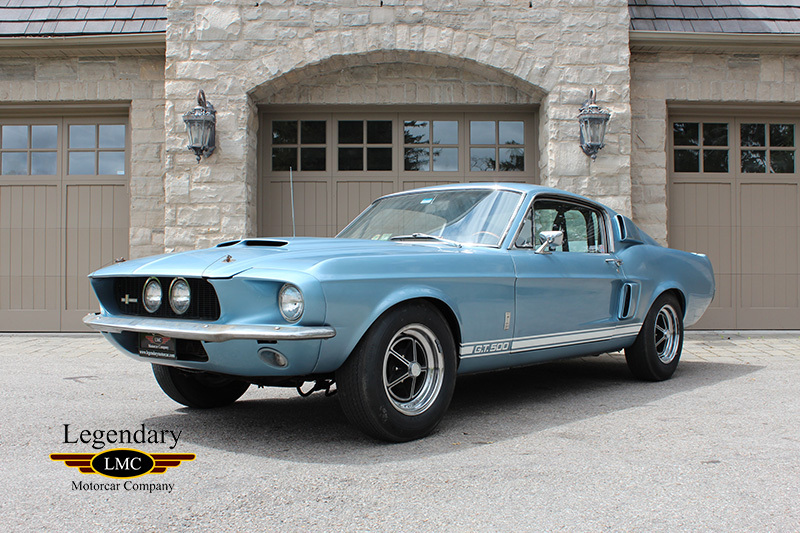 This Shelby has the desirable 4-Speed numbers matching manual transmission sporting the awesome “black cue ball” style shifter Blackwall Goodyear tires mounted on the good looking Shelby five spoke chrome Magstar Wheels. 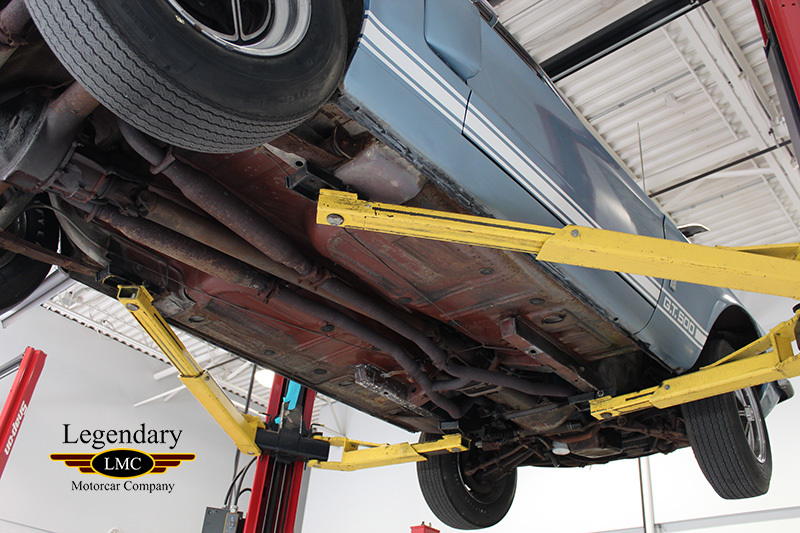 Power front disc with rear drum brakes and power steering were mandatory options. 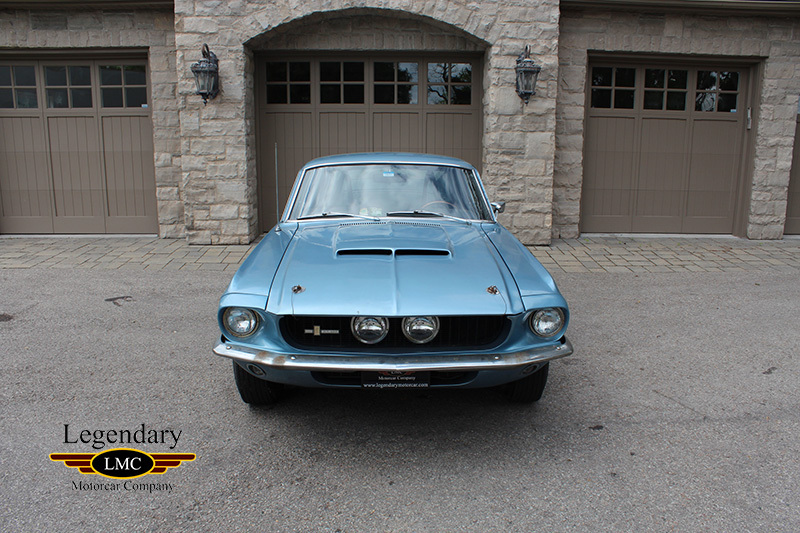 The exterior of the car looks wonderful in consideration of its age, finished in the beautiful factory Brittany Blue. This is a classic Shelby with the overall look of a respected muscle machine proudly showing off the years of originality. 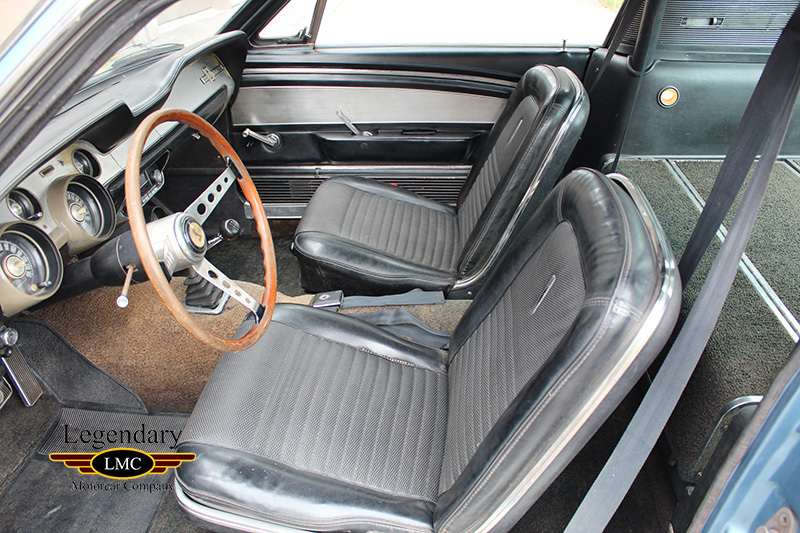 The Black Knitted Vinyl interior has the patina and age of a good unrestored car. 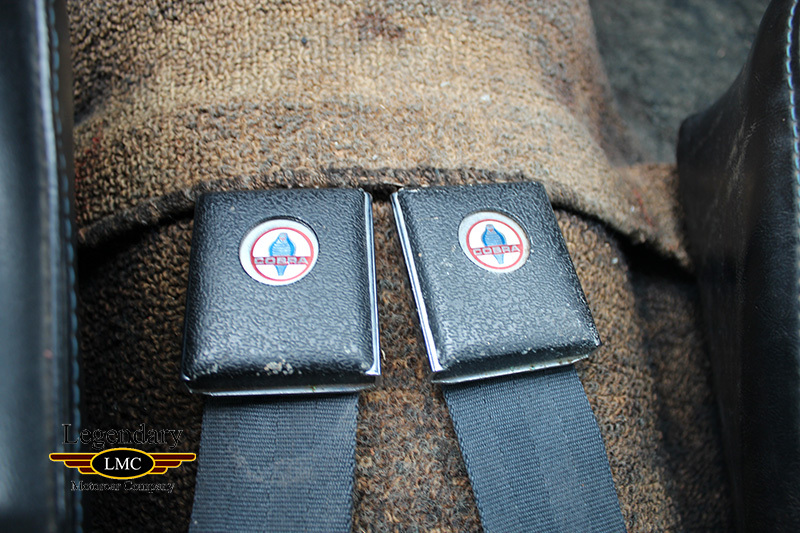 The bucket seats are in very good condition and the wood steering wheel is in surprisingly good condition as well. 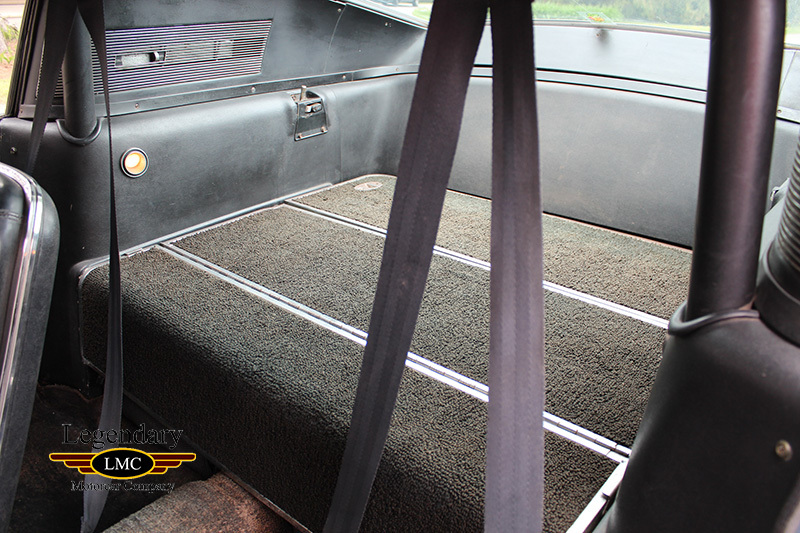 Complete with factory roll bar, inertia reel shoulder harnesses and fold down rear seat. 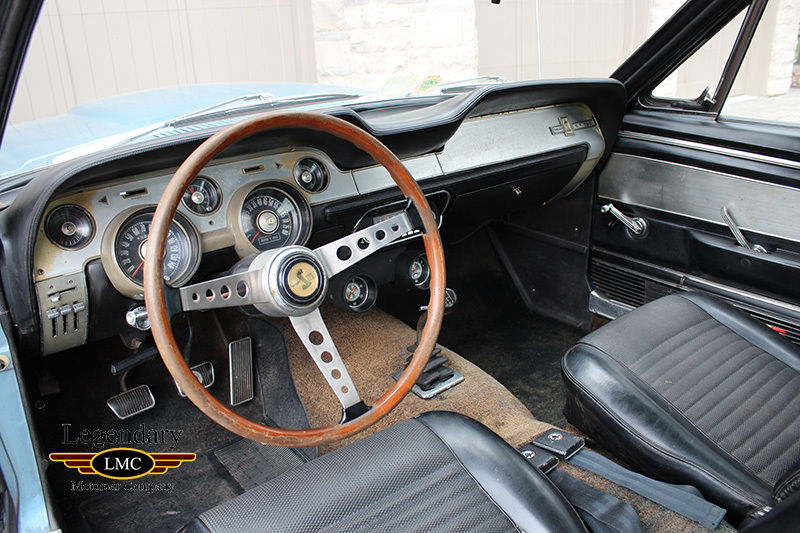 Other conveniences of the day include an AM Radio, Clock, Driver-Remote Chrome Mirror and Oil/Amp gauges mounted under the dash in front of the shifter. 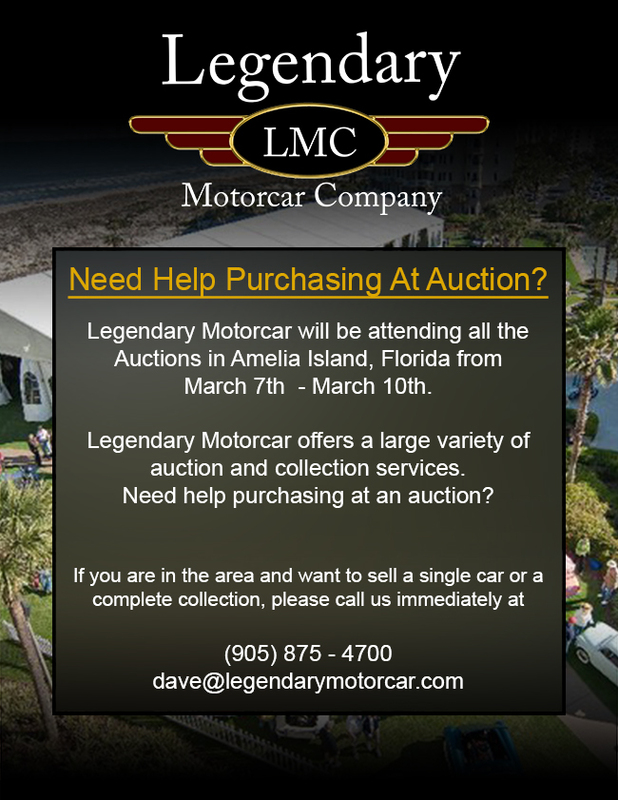 Over the past several years, "Hagerty's Cars That Matter" has observed unrestored cars sell for prices that would have astonished in the recent past. Preservation Classes are being added to concours nationwide to showcase well preserved and mostly unrestored, un-refinished, and unaltered cars. The old car hobby is headed in the direction of the fine art, decorative arts, and antique furniture markets, where a premium is placed on originality. 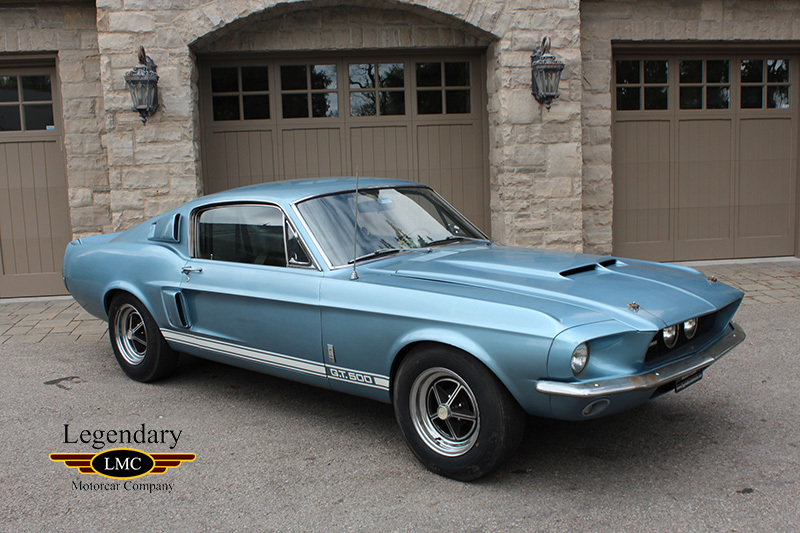 This original Shelby, as confirmed by letter from Ford, came off the San Jose Assembly Plant having been built on March 23, 1967. Originally delivered to Carey Paul Ford in Decatur, Georgia this was a no-frills performance machine. 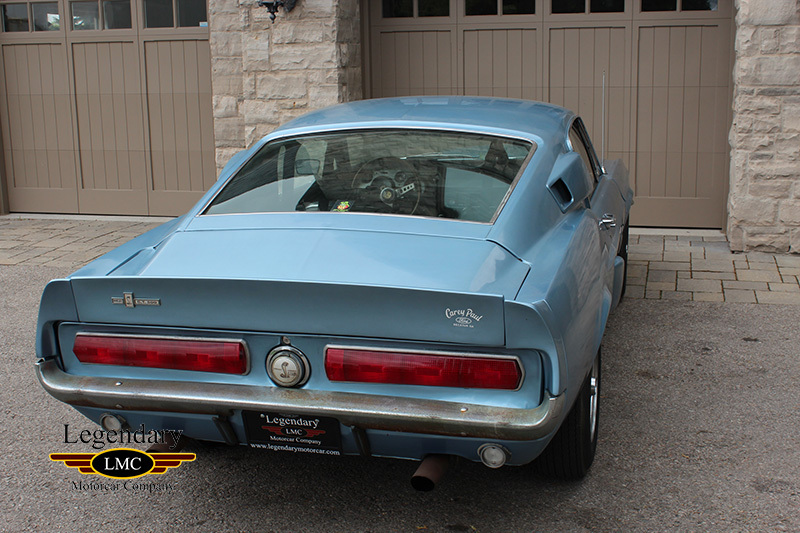 The Carey Paul dealer decal is affixed to the right rear of trunk lid. Fully documented by the SAAC registry. This car was kept by its original owner till 1969 when it's second caretaker would retain ownership all the way until 1998! The car was used only sparingly and park for the majority of the time. It was only then, with 39,000 original miles on the clock would it find its way to its third and most astute caretaker. This Shelby has been properly recognized as an absolutely outstanding survivor by winning the Chairman's Award at the SAAC-31 Meet. Its was scrutinized by some of the most knowledgeable in the Shelby world, Bob Gaines, Randy Sizemore and Paul Zimmons. In the end the after review, it was unanimously agreed the car would receive the Chairman's Award. 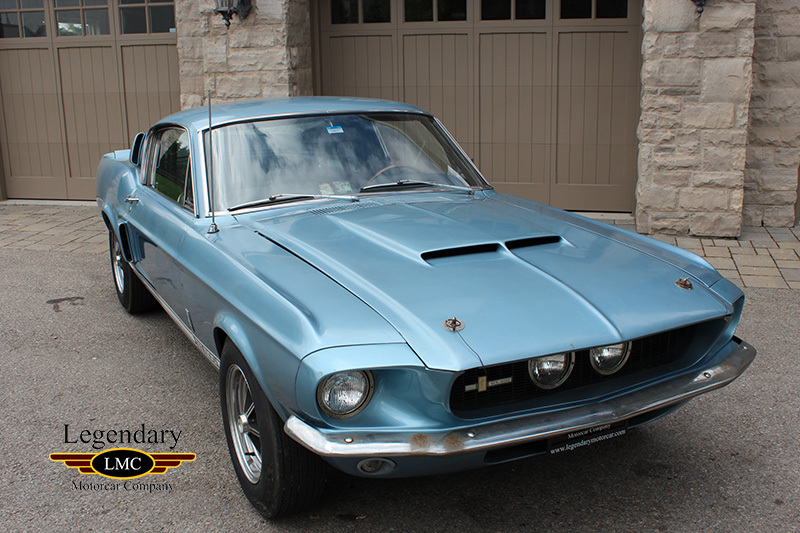 After SAAC 31, in a Mustang Monthly article Bob Perkins went on to say "The 67 Shelby in the unrestored class at SAAC 31 was outstanding! 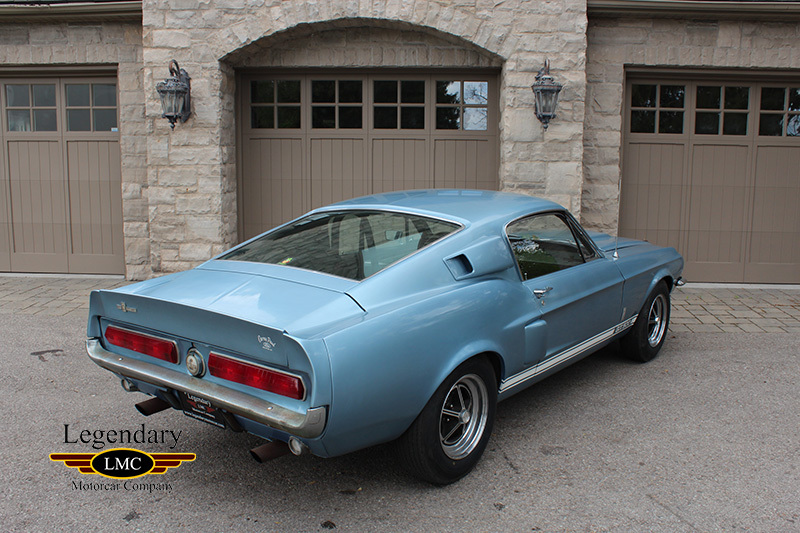 " The previous owner, a long time auto restorer/enthusiast captures the Shelby's life through the years of ownership and longtime storage. 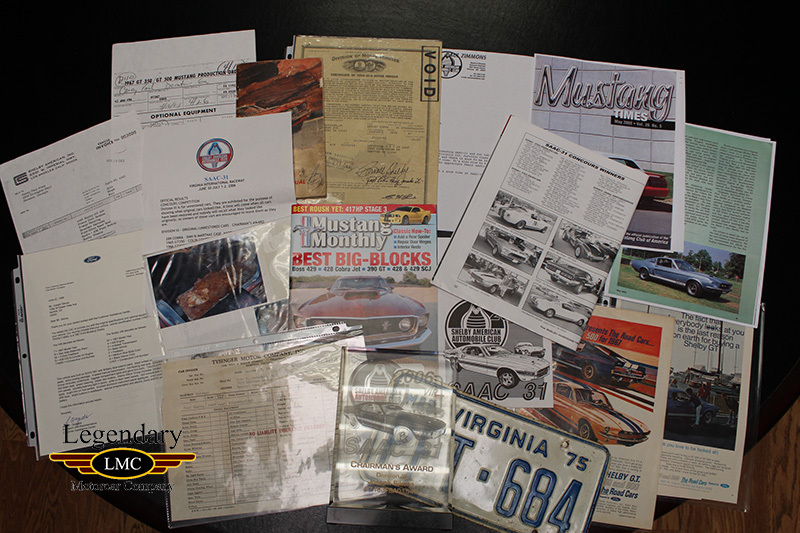 This was truly a classic story of a low mileage Shelby stored for many years in Tidewater Virginia. 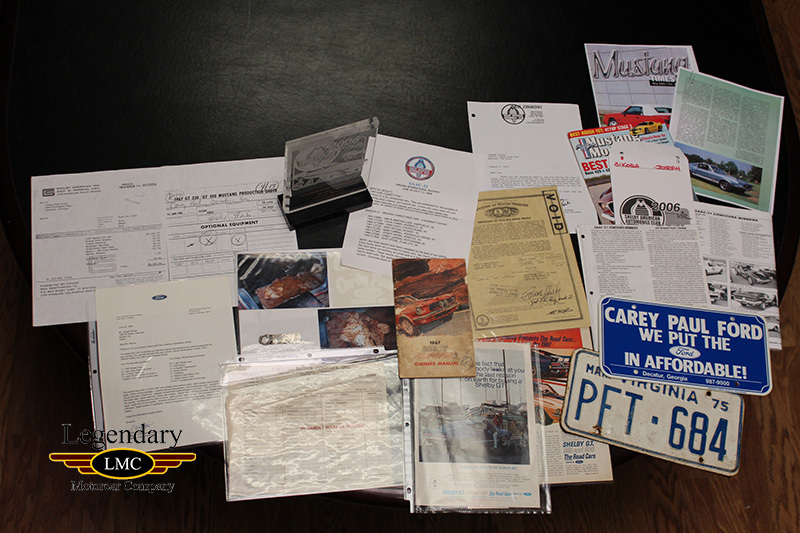 The previous owner also acknowledges in this document of 'walking the painstaking line between repair, restoration and preserving the car's originality'"¦and to date this Shelby has been left as an original survivor for the enjoyment and reference of enthusiasts today. 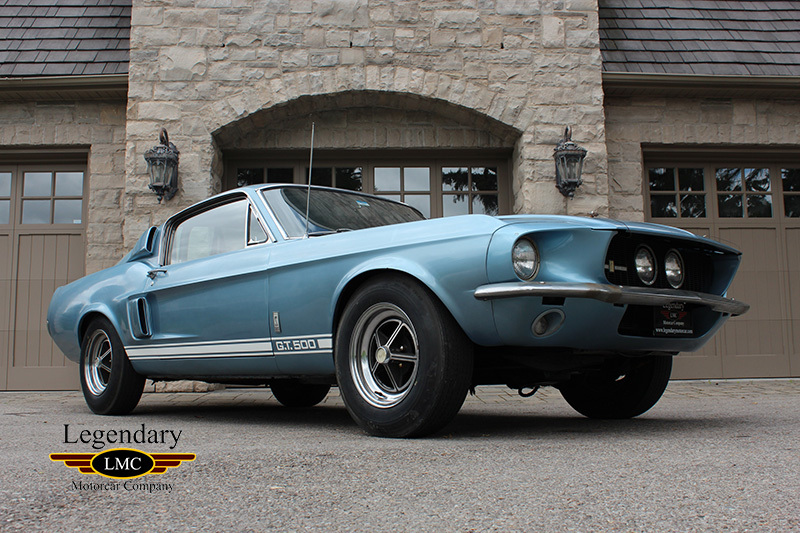 Remembering that a car can only be original once"¦this Shelby is a virtual time capsule. 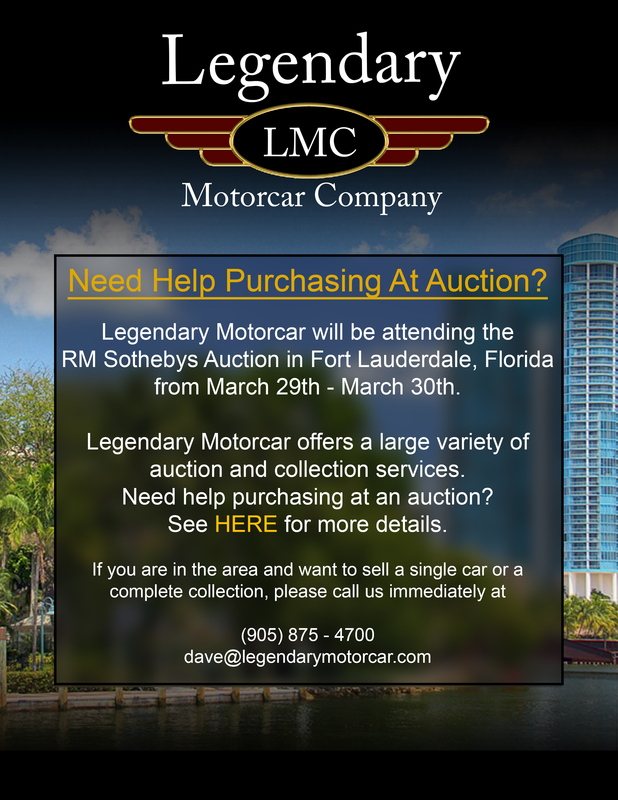 Legendary-Motorcar-Company-Ltd-2016-084 Ford 1967 Ford Mustang Shelby GT500 2016-084 0 Legendary Motorcar Company Ltd.